Congress president Rahul Gandhi today named nine new secretaries, including Gujarat OBC leader Alpesh Thakor, in the All India Congress Committee for different states, besides appointing Aditi Singh, MLA of Rae Bareli Sadar (Uttar Pradesh) constituency, as general secretary of All India Mahila Congress. Among the new secretaries appointed are Shakeel Ahmed Khan, an MLA, as All India Congress Committee secretary for Jammu and Kashmir, Rajesh Dhamani for Uttarakhand and B P Singh, Mohd Jawaid and Sarat Raut, all three for West Bengal. 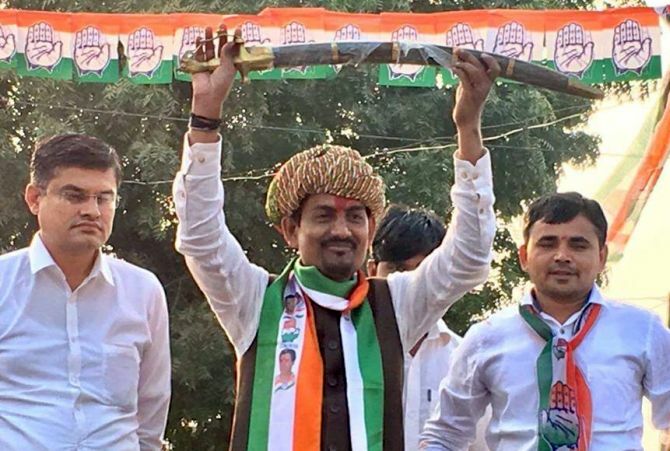 Backward leader Alpesh Thakor, who joined the Congress last year ahead of Gujarat assembly elections, has been made the AICC Secretary for Bihar and Challa Vamshi Chand Reddy and B M Sandeep, both for Maharashtra. Gandhi also appointed Deepak Rathod from Himachal Pradesh and Rajpal Bisht from Uttarakhand as members of the screening committee for the state of Mizoram. 'Congress president Rahul Gandhi has appointed Aditi Singh, MLA Rae Bareli Sadar (UP) as general secretary of All India Mahila Congress,' said a statement from AICC general secretary, Organisation, Ashok Gehlot. Sanjay Dutt, ex MLC, has been made AICC secretary inchage of Tamil Nadu.